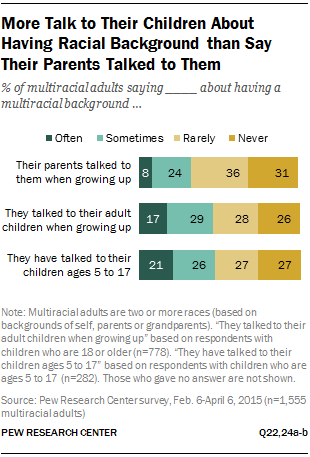 Do Multiracial Adults Feel a Common Bond with Other Multiracial Adults? Do Multiracial Adults Have More Diverse Circles of Friends? What Share of Hispanics Are Mixed Race? How Do Mixed-Race, Afro-Latino and Indigenous Hispanics Report Their Race?